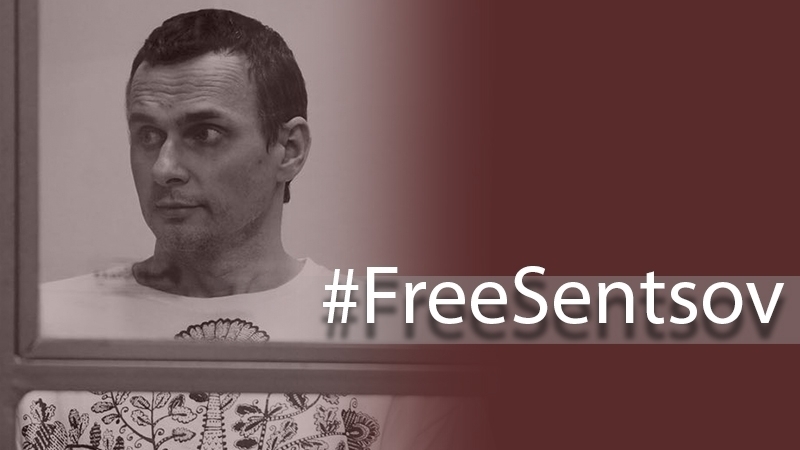 The Federal Penitentiary Service (FSIN) of Russia recognizes Ukrainian political prisoner Oleg Sentsov as a citizen of Ukraine. A relevant certificate of the FSIN for the Yamalo-Nenets Autonomous District, in which the Sentsov's citizenship was indicated, was published by lawyer Dmitry Dinze on his Facebook page on June 24. The document was issued by the Ukrainian Consulate in Yekaterinburg in January 2018. Earlier, the Verkhovna Rada Commissioner for Human Rights Lyudmila Denisova said that Oleg Sentsov is very pale, moves little and hardly gets out of bed. Doctors monitoring the health state of the Ukrainian filmmaker reported that his receptors were failing. Denisova appealed to the Head of the Federal Penitentiary Service of the Russian Federation Gennady Kornienko with a request to urgently grant permission to visit Oleg Sentsov. Secretary General of the Council of Europe Thorbjørn Jagland said after meeting with Russian ombudsman Tatyana Moskalkova that he is ready to file a petition for pardon of Ukrainian director Oleg Sentsov illegally convicted in Russia.